Update – This location of Jerry Remy’s is now closed. Recently I was visiting a friend in Boston for a few days. I put her completely in charge of the meal selections as long as they’re good. We were both in the mood for something casual the first night. My friend picked a Jerry Remy’s near Fenway because she heard that it had great American food and a nice beer list as well as TVs to watch March Madness. We headed over there for a night of sampling interesting beers and dinner. Inside, the bar had quite a few TVs showing the March Madness games among other things. When we sat down, the waiter brought us a beer list and was very attentive. My friend and I each ordered a drink and decided to share the Nachos. 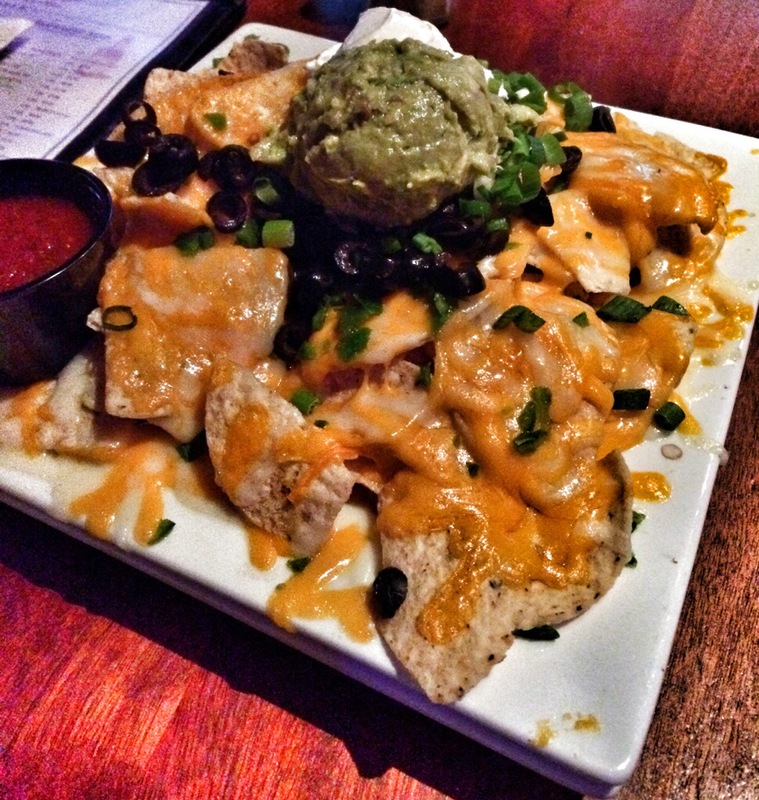 My friend loves nachos, so eating with her usually entails nachos or chips at some point. The Nachos came with colby, cheddar, fresh jalapeños, olives, tomatoes, green onions, sour cream & salsa. There was nothing particular special about them, but they were good. For my meal, I ordered the Bison Burger. 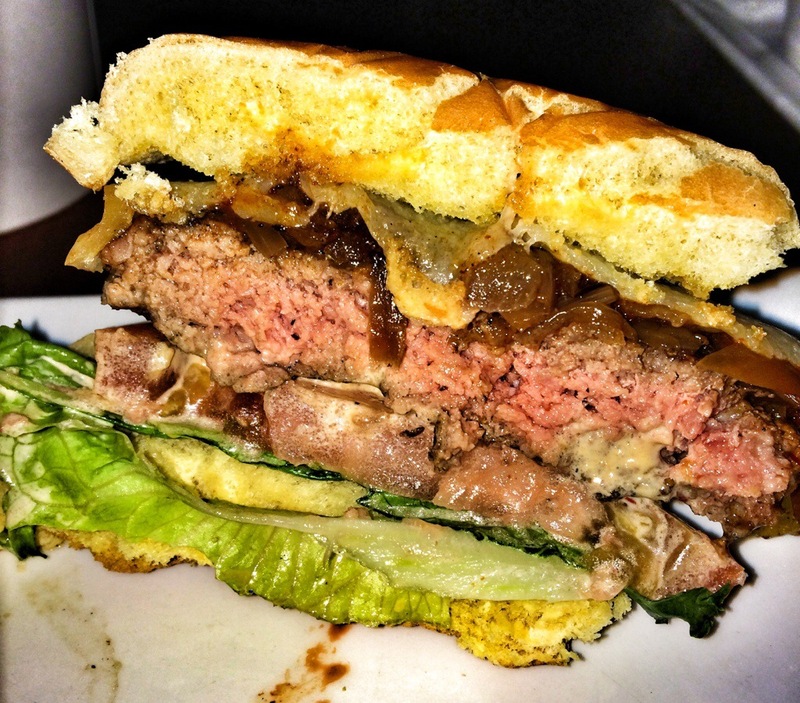 Bison is healthier than traditional red meat and it tastes the same on a burger so I order it when I can. My burger came with chipotle onions, smoked cheddar & spicy mayonnaise. 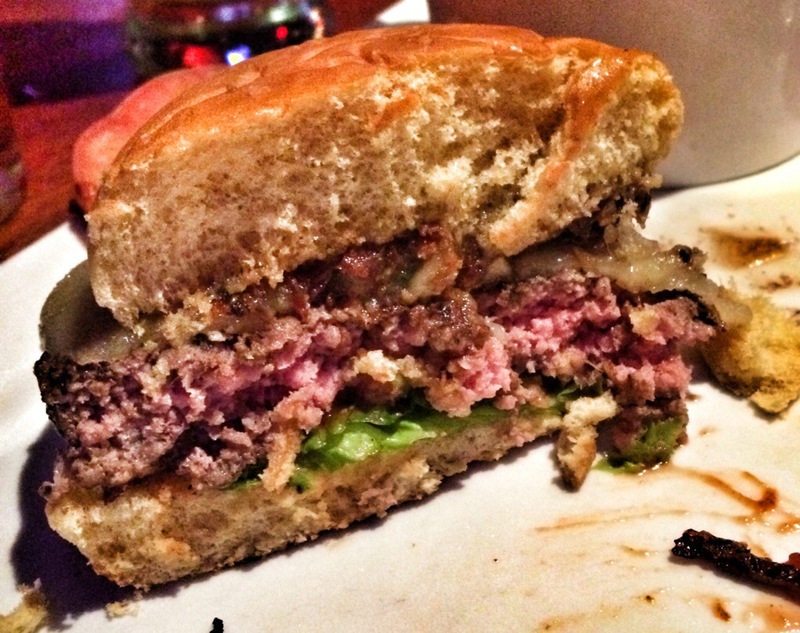 The burger was great, messy and cooked well. And it came with my ideal burger toppings. The burger came with a side of fries. 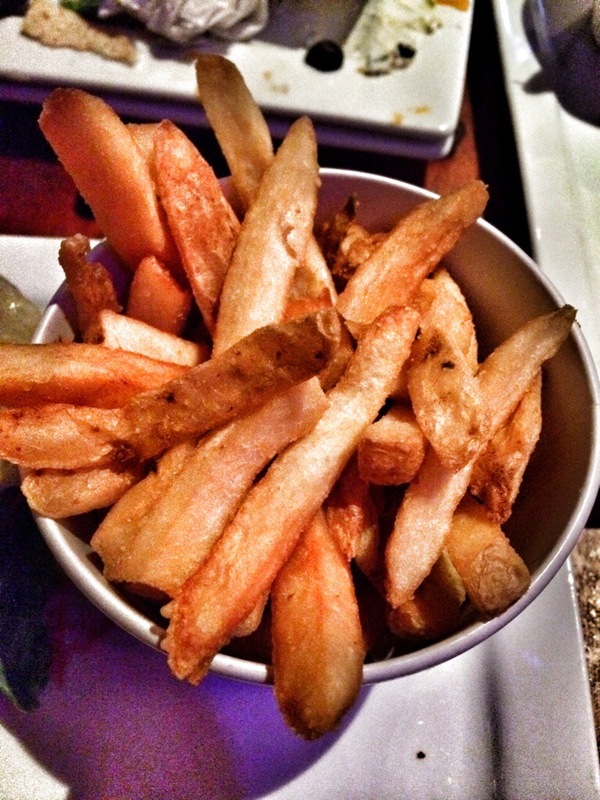 They were your typical french fries that come paired with a burger. My friend also ordered a burger. She tried the “Buenas Noches” Burger. It was pepper jack, jalapeño bacon jam & fresh chopped jalapeño on a potato roll. She loves those flavor combinations and really enjoyed the burger. Next time you’re in Boston and craving a burger or some other great American Food, consider Jerry Remy’s in Fenway. Jerry Remy’s has a few locations, the one we visited is 1265 Boylston Street, Boston, MA. Know of any other American Restaurants in Boston or in the surrounding areas that I need to try? Let me know in the comments below! For more of my deep thoughts and witticisms, follow me on Twitter.